The seal around HVAC air filter in its mounting frame. Air filter gaskets seal HVAC air filters in the mounting frame to prevent gas and air leaks in heating and air conditioning installations. Our air filter gaskets bond quickly and efficiently with just slight pressure. Simply peel from the liner and apply to the area of the air filter that requires sealing. Air filter gaskets are available single or double coated with high performance adhesive systems. Custom die-cut gaskets minimize material waste and are provided kiss-cut in rolls on an easy-to-peel release liner. Air filter gasketing is also available in rolls or spools of single and double sided tape cut to any size you need. 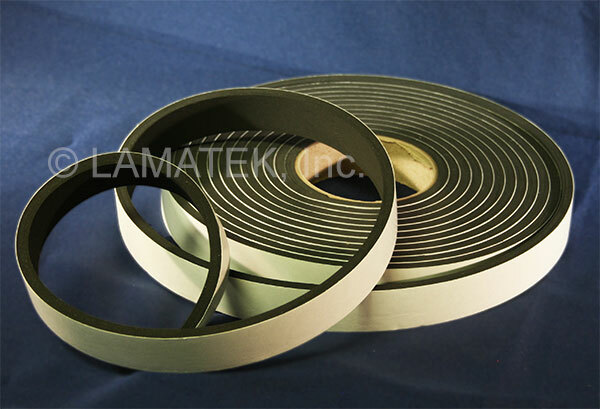 LAMATEK’s air filter gaskets are available in a variety of foam and sponge materials from weather resistant Neoprene/EPDM or Vinyl Nitrile to open-cell Polyester foam to heat resistant Silicone Sponge. LAMATEK is an industry leader in customization and die-cutting. We can make custom gaskets to fit any part or HVAC air filter system based on your specification. Contact us today for a quote on new custom parts or choose from our existing library of gasket dies.